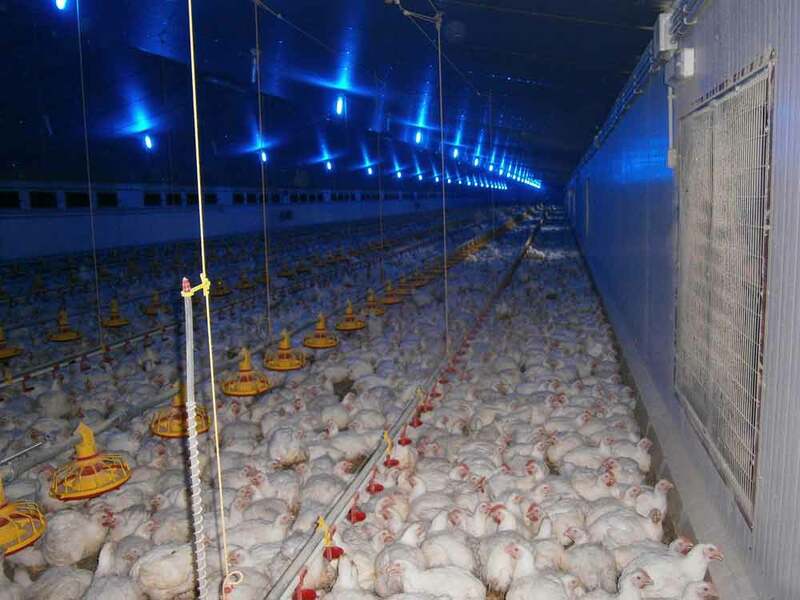 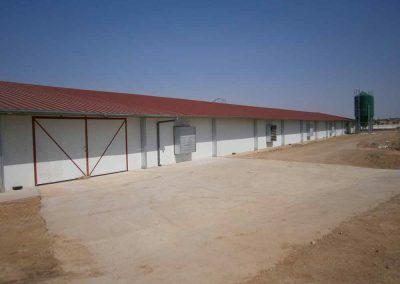 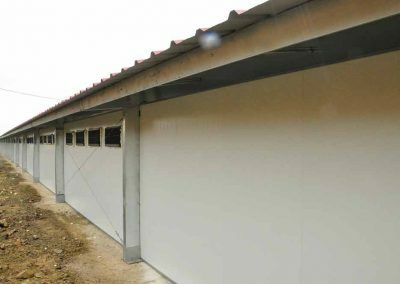 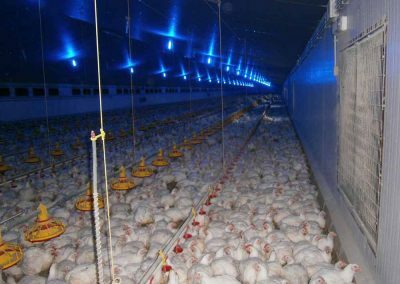 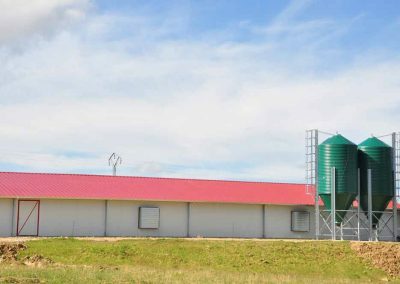 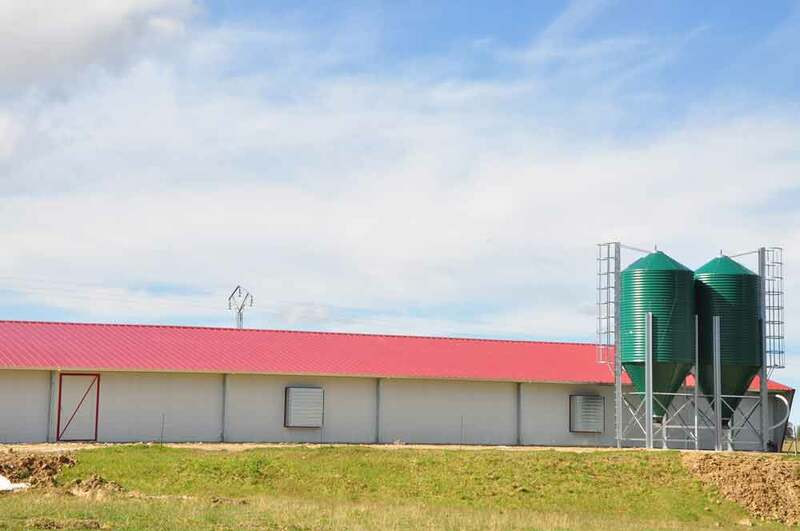 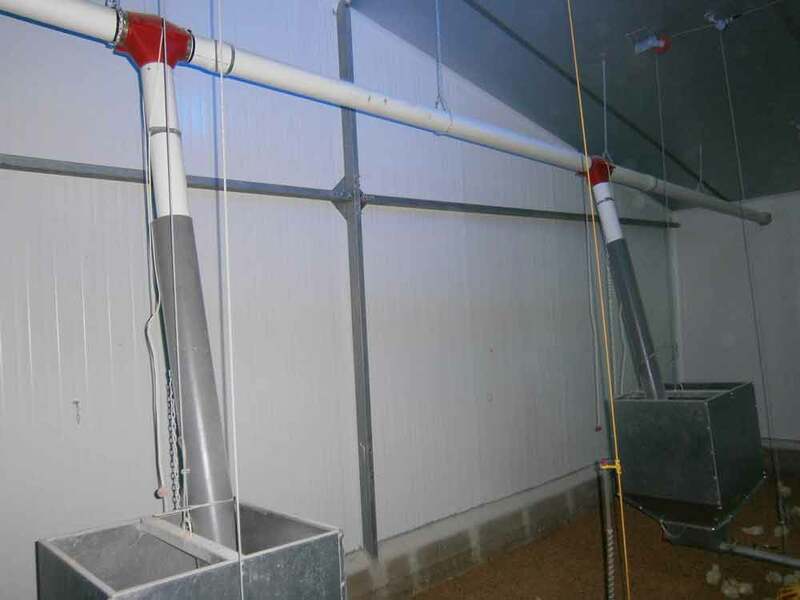 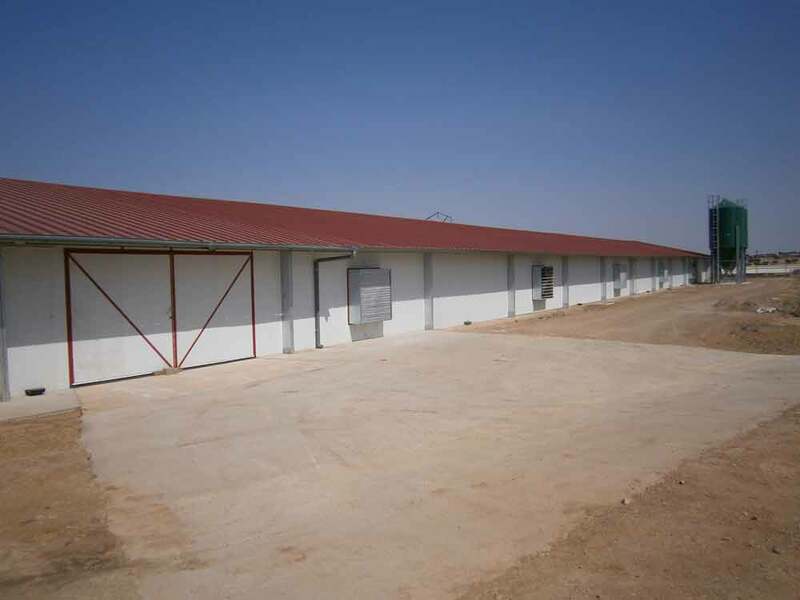 Poultry house for aproximately 29,000 chickens in Cabeza del Buey, Badajoz. 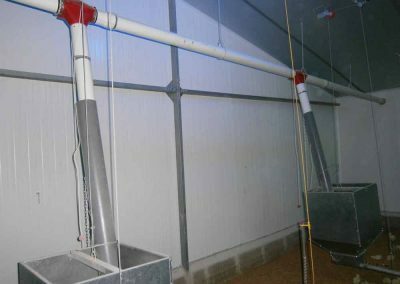 Cooling with separate stainless steel booths. 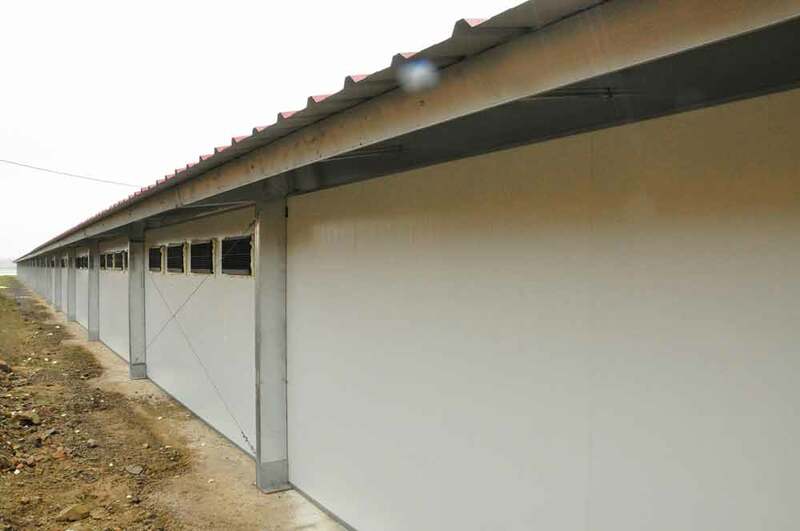 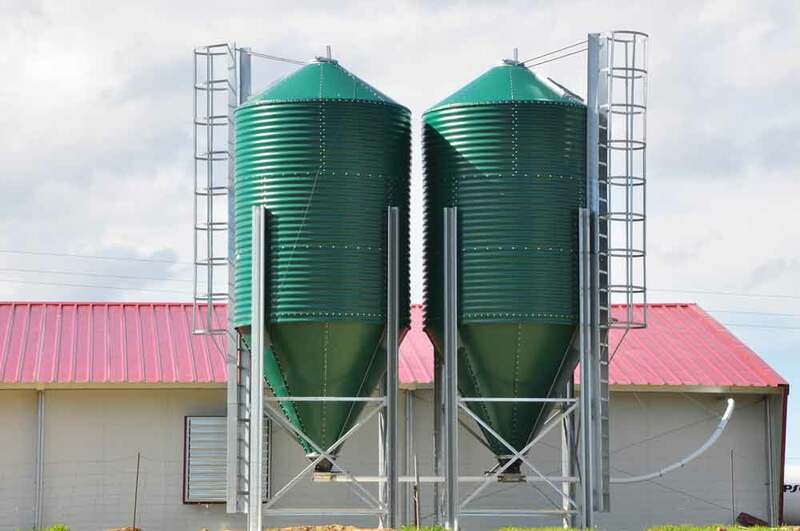 Galvanized steel structure bolted, not welded to avoid corrosion points.